Detectives investigating the murder of a Portsmouth barmaid in 1986 have made a fresh appeal for information after an ex-sailor was cleared of killing her. 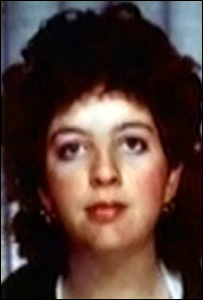 Michael Shirley, from Leamington Spa, Warwickshire, was found guilty of killing Linda Cook and jailed in 1988 but his conviction was quashed in 2003. New DNA evidence led to the High Court of Appeal judges' decision. Hampshire Constabulary re-opened the case after Mr Shirley was freed but the move did not lead to any charges. Ms Cook, 24, was sexually assaulted and murdered on an area of wasteland in the city, known as Merry Row, during the early hours of 9 December. She was walking from a friend's house in Sultan Road, Buckland, to her home in Victoria Road South, Southsea, when she was attacked just off Lake Road in Landport. Her partially-clothed body was found later that day and a post-mortem examination revealed that she had been asphyxiated. Her jaw and spine had been broken and her larynx had been crushed by the heel of the killer, who left the logo of a training shoe imprinted on her body. Det Insp Darren O'Callaghan, from Hampshire Constabulary, said: "We are using the further advancements in DNA testing to help us take this case forward. "We will be using that, along with other evidence and any new information that may come in to help us in our investigation. "This is a difficult investigation but we are doing all we can to try to trace the person responsible and bring them to justice. "I would urge anyone who may have information about Linda's death, which they may not have told us before for whatever reason, to now come forward and do so." Three judges in London quashed Mr Shirley's conviction on 3 July 2003 after hearing that new DNA evidence established that he was "probably not" the culprit. They were told that the recent DNA tests carried out on evidence submitted at the original trial pointed to an unknown man who, the defence argued, was the real killer. Mr Shirley was an 18-year-old naval rating on shore leave in Portsmouth at the time of the murder. Mr Shirley has always insisted he was innocent of the murder, but a 1989 appeal was rejected by the Court of Appeal.